1st: Owings popped out to first. 2nd: Owings lined out to right. 9th: Owings flied out to right. 1st: Ahmed inside-the-park home run to deep center (390 feet). 3rd: Ahmed struck out swinging. 5th: Ahmed lined out to right. 9th: Ahmed grounded out to third. 1st: Goldschmidt lined out to shortstop. 5th: Goldschmidt grounded out to pitcher. 7th: Goldschmidt singled to right center, Descalso scored, Ahmed to third, Goldschmidt to second on throwing error by right fielder Puig. 9th: Goldschmidt grounded out to shortstop. 3rd: Pollock singled to center, Goldschmidt to second. 5th: Pollock lined out to third. 7th: Pollock grounded out to shortstop, Ahmed scored. 1st: Souza Jr. flied out to left. 3rd: Souza Jr. walked, Goldschmidt to third, Pollock to second. 2nd: Marte singled to center. 3rd: Marte grounded into double play, shortstop to second to first, Souza Jr. out at second. 7th: Marte grounded into fielder's choice to shortstop, Souza Jr. out at second. 2nd: Marrero singled to left, Marte to second, Marte to third on error by left fielder Kemp. 4th: Marrero flied out to left. 6th: Marrero grounded out to third, Marte to second. 2nd: Avila struck out looking. 4th: Avila grounded out to first. 6th: Avila grounded out to catcher. 8th: Avila grounded out to first. 2nd: Corbin struck out swinging. 4th: Corbin singled to right. 8th: Descalso struck out swinging. 4th: Taylor singled to center. 5th: Taylor walked, Farmer to second. 6th: Taylor hit by pitch, Barnes scored, Puig to third, Muncy to second. 8th: Taylor lined out to center, Utley to third. 5th: Hernández flied out to center. 8th: Hernández flied out to left. 1st: Kemp lined out to center. 5th: Kemp grounded into fielder's choice to third, Farmer out at third, Taylor to second. 7th: Kemp popped out to shortstop. 2nd: Grandal lined out to left. 4th: Grandal walked, Taylor to third, Kemp to second. 6th: Grandal singled to center. 7th: Grandal lined out to left. 2nd: Bellinger struck out swinging. 4th: Bellinger struck out swinging. 7th: Bellinger grounded out to second. 2nd: Barnes struck out swinging. 4th: Barnes struck out swinging. 6th: Barnes singled to center, Grandal to second. 3rd: Puig flied out to right. 5th: Puig singled to left. 6th: Puig singled to left, Grandal to third, Barnes to second. 8th: Puig singled to left, Barnes to second. 3rd: Farmer grounded out to second. 5th: Farmer singled to right, Puig to third. 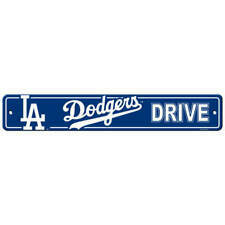 6th: Farmer hit sacrifice fly to left, Grandal scored. 8th: Farmer struck out swinging. 5th: Locastro struck out swinging. 6th: Muncy walked, Barnes to third, Puig to second. 8th: Utley doubled to center, Barnes and Puig scored. Kyle Farmer's sacrifice fly scored the go-ahead run in a sixth inning that included mistakes by Arizona's bullpen and helped the Los Angeles Dodgers beat the NL West-leading Diamondbacks 6-3 on Wednesday night. 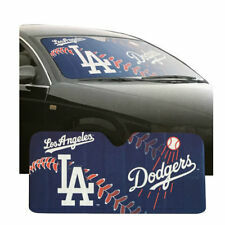 New MLB Los Angeles Dodgers Home Office Bar Room Decor Street Sign 4" X 24"